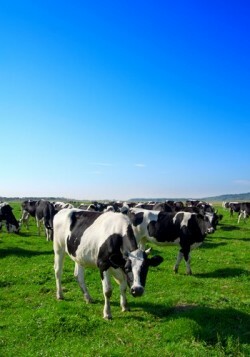 The Golden Sands Dairy Group is proposing to build a 5,300 cow dairy farm in Saratoga, Wisconsin. But, first, the group must settle a lawsuit against the same city which recently established a moratorium against all new construction projects, according to the Professional Dairy Producers of Wisconsin. The sticking point for Golden Sands CEO Jim Wysocki comes from how the town and its supervisors approved the moratorium on the same night that Golden Sands held a public hearing in Wisconsin Rapids to discuss the project with the public. "It's clear the town adopted the moratorium with the sole purpose of hindering the Golden Sands project," said Jim Wysocki in a statement. "The project complies with all zoning and other local requirements. We are following the laws and trying to bring a good project and jobs to the area, but the town is taking illegal actions that we cannot stand by and let happen." According to the Wisconsin Rapids Tribune, a local paper, the conflict stems from a June 12 incident in which Town Chairman Terry Rickaby allegedly told Wysocki that while he was making the plans to open his dairy, he had "gone behind the back of the wrong person." This led Wysocki to also allege that Rickaby and other town officials have been illegally preventing the municipal building inspector from issuing any permits. This is why on July 26, Golden Sands Dairy filed a civil case against the Saratoga building inspector, Lorelei Fuehrer, asking the court to order Fuehrer to issue building permits to the dairy company. While nothing has been released on the side of the town of Saratoga, it's clear that depositions in this case may spin a complicated tale. 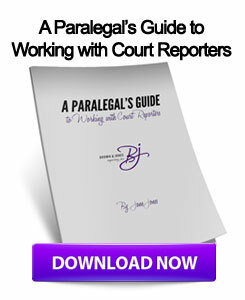 In order for lawyers to obtain the most accurate information to ensure a proper trial, they may want to partner with Wisconsin court reporters with real-time court reporting skills and video deposition services. This entry was posted on Thursday, August 16th, 2012 at 10:34 am	and is filed under All Posts, Wisconsin Legal. You can follow any responses to this entry through the RSS 2.0 feed. You can skip to the end and leave a response. Pinging is currently not allowed.